Balinese dances eloquently charm audiences with their signature basic movements, eye movements and curvy nature of the female dancers. Almost all of the dances on the island boast bright colours and glittery costumes. All of this is not presented in Rejang Renteng. Rejang Renteng is a variation of the Rejang Dance – the sacred dance performed as an opener to religious rituals. It originated in Nusa Penida, the biggest island of the three islands on the south east off the mainland Bali. The dance faced its extinction years ago, but was brought back to life around 2014. The dance is usually performed a by a large group of married or old women. 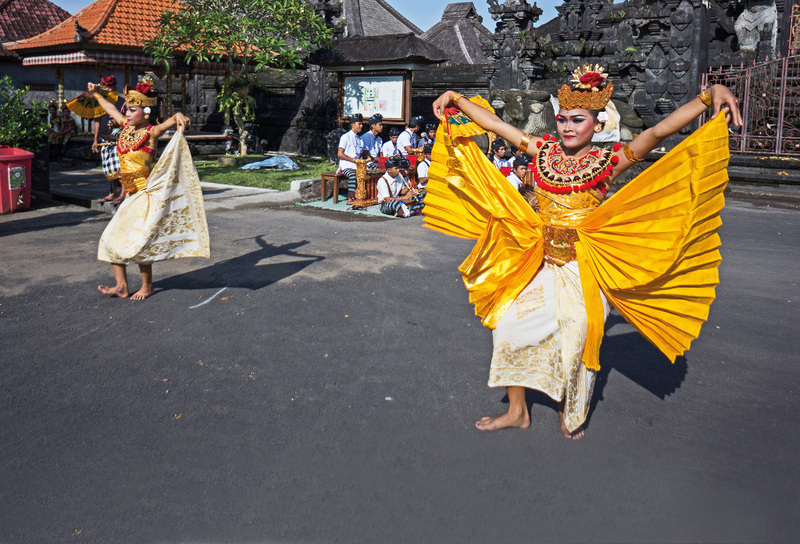 Unlike others, the dancers of this dance wear simple attire: white long sleeves kebaya (ladies top), wrap around yellow fabric and a yellow sash around their waist. These specific colours represent God: white represents God Iswara who protects the east and yellow represents Mahadeva, the protector of the west. The philosophy of a balanced life, embracing both sunrise and sunset, day and night. Choreography wise, the gesture and the energy displayed through out the performance are in unison with only a few combination of routines. 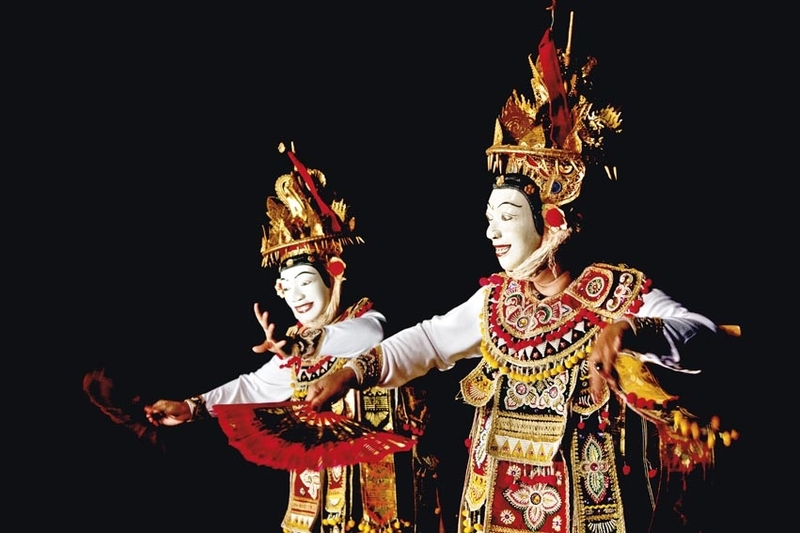 Accompanied by the rhythm from the gamelan orchestra, the Rejang Renteng dance is as dynamic as other dances. 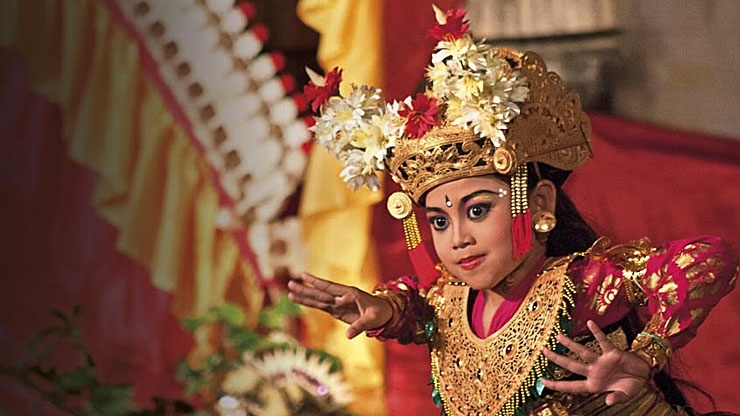 The performance aims to celebrate and welcome the God and deities coming down to earth to witness and bless the ritual. Renteng means to attach to each other, symbolising harmony. At the end of the dance, the dancers hold each others sash to create a circle. 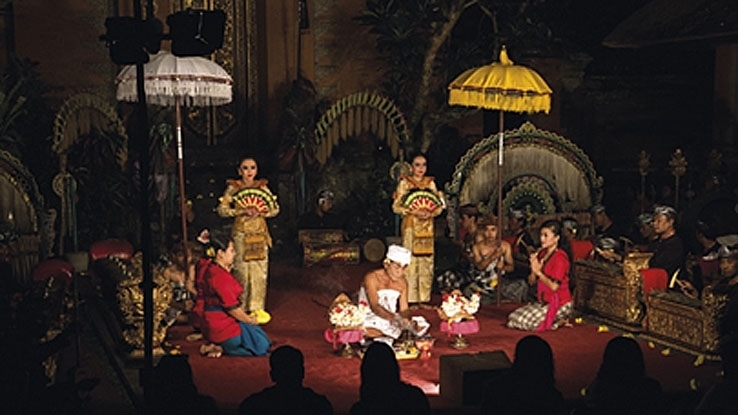 These days Rejang Renteng is performed as the opening of many non religious events in Bali, though disagreement regarding this has surfaced and there is a huge concern to keep the sacred dance as it is – only performed at sacred rituals. 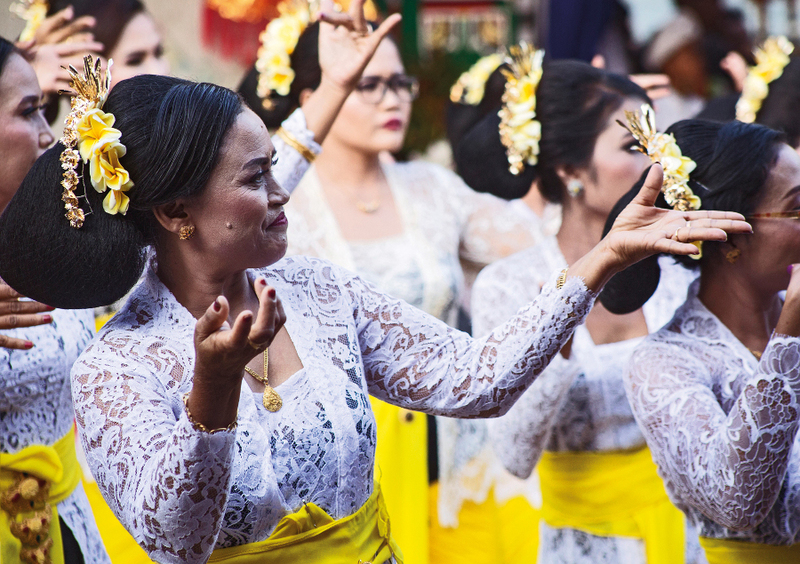 The debate continues, while a large number of Balinese women maintain their willingness to practicing the dance for the next event at their temple or their village. For them, the dance is not only to worship God, but a positive addition to their daily activity in the Banjar – the community centre.